As part of this year’s Rover Centenary we interviewed Lesego Ramothwala who is from Kimberley in the Northern Cape and a member of the 1st Isago Rover Crew. Lesego describes himself as an introvert who loves going out of his comfort zone to experience new things. “I am a very active person. As a gymnast for the Northern Cape Province I participate in the Aerobic Gymnastic competition and as a judge or coach I help in the Rhythmic Gymnastics discipline. I also have a passion for artistry, especially music”, he explains proudly to us. Lesego completed his first year in Electrical Engineering at NCY TVET College last year. “During my years in Scouting I have developed fierce leadership and many other skills. My ongoing optimism and my exerted nature was discovered and grew year after year as I went through all the advancement levels within my Pack, Troop and Crew”, Lesego says. 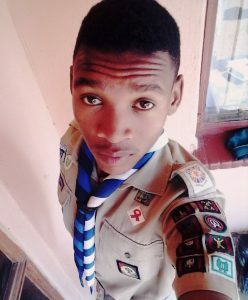 “I love Scouting and I want to make a difference in other young people’s lives. That’s what motivates me day by day in the Scouting Movement”, he explains further. Just being invested as a Rover he is curious to understand and experience what the Movement can do to change and improve young adult’s lives all over the world. “Rovering does not only give opportunities to young adults to experience and support the Movements’ youth. It does not only help build competence for the future, for our organisation and the whole world. Rovering gives you the chance to enhance your abilities within your individual capabilities. You can grow while advancing through the Rover programme and you are gaining independence in every aspect of life. Rovering gives you a tenacity to live by the promise and law, to share the meaning of the promise and law and to understand what being an adult means”, he continues. “Rovering has a special place in my life as I know that its influence on my life is going to be significant. Seeing other young adults advance not only in Scouting, but also in their everyday lives inspires me. I think all young people in his community could profit from Rovering. 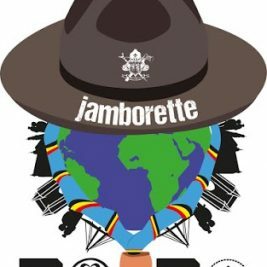 It would change their lives for the better if they can experience life from the perspective of a Scout. The task of Rovers is to show the youth that it is important to be caring and considerate of others. We are of service not only to the Movement but to our communities, country and the whole world”, Lesego says. His Crew recently celebrated Youth Day by inviting local community youth members to participate in a programme full of motivational talks and self growth sessions. They also invited professionals such as reverends of various churches and local youth choirs. They played games and introduced Rovering through the activities to their community. His Crew also spent time at a local old age home with very wise and inspiring adults. “If I had to describe Rovering in 30 seconds, I would say it is a compassionate and nurturing Movement in which everyone can unlock their unknown abilities. It is a world-wide brotherhood which is of service and whose aim it is to do what you can do and to care for others. You should acknowledge that it is a blessing to be of service and you should see what this blessing has done to you”, Lesego concludes.